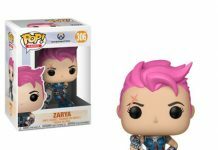 Home Company Funko Toy Fair 2017: Funko BoJack Horseman Pop!s! 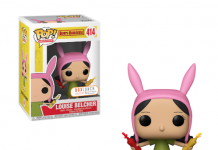 Toy Fair 2017: Funko BoJack Horseman Pop!s! Netflix’s BoJack Horseman is getting a fourth season this summer and a wave of Pop!s too! You’ll be able to collect the washed up sitcom star along with his ghostwriter Diane, his rival Mr. Peanutbutter, his roommate Todd, and his ex-girlfriend and agent Princess Carolyn! Next articleToy Fair 2017: Funko Despicable Me 3!